Catchy tunes always put me in a good mood. For instance, the other day I was listening to Michael Jackson’s 1980’s hit “Beat It” and it provided me with an energy boost to start my day. Later in the evening, I sat down in my favorite easy chair to enjoy some Baroque music. This style of classical music is relaxing and has meditative beats that are perfect for unwinding after a busy day. Music has long been known for its transformational powers. In fact, scientific evidence has emerged during recent years about the therapeutic abilities of music. For instance, a 2011 study found that music can decrease anxiety and pain, balance mood, and improve the quality of life in cancer patients. Surgeons even listen to music to help them close incisions with greater effectiveness! Studies suggest that music can help doctors relax and reduce stress during operations. Previous studies also suggest that music benefits people with moderate to severe Alzheimer’s disease, sleeping problems, addiction disorders, depression, and other mood-related conditions. However, it’s the latest research on music that has got me hitting the repeat button during my favorite songs. In clinical studies, listening to music is known as music therapy. The latest buzz on music therapy suggests that it can help epileptics by possibly preventing seizures. Epilepsy is a brain disorder commonly characterized by frequent episodes of seizures, also called epileptic fits. A person will experience an epileptic fit from a sudden electrical overload in the brain. In turn, there is a temporary disruption with functioning of the brain cells. In the U.S., nearly three million people are affected by epilepsy; it is especially common in early childhood and with adults over the age of 60. Seizures are often associated with rhythmic jerking movements and a loss of consciousness. Other seizures may cause convulsions with no fever. Besides seizures, there are many other epilepsy symptoms, including temporary confusion or blackouts, staring spells, repetitive and inappropriate movements, and a short-term dazed feeling. For no apparent reason, the person may also fall, become stiff, become angry or fearful, and suffer from bouts of chewing or blinking. A person may also temporarily fail to respond to questions or instructions, and there may be weird changes in the senses, including hearing, touching, or smell. There are two main types of seizures: primary generalized seizures and secondary generalized or partial seizures. Absence seizures: This is similar to a staring spell and typically lasts for less than 15 seconds. Tonic seizures: They cause muscle stiffness, particularly in the legs, arms, and back. Atonic seizures: Also called drop seizures; they lead to muscle control loss and collapsing. Clonic seizures: These seizures are linked with rhythmic or repetitive muscle jerking; they affect the arms, face, and neck. Myoclonic seizures: These seizures are characterized by sudden twitches or jerks of the legs or arms. Tonic-clonic seizures: Previously called grand mal seizures—they are considered the most dramatic epileptic seizures. These seizures can abruptly lead to a loss of consciousness, shaking, loss of bladder control, tongue biting, and body stiffness. Simple partial seizures: These seizures typically don’t lead to a loss of consciousness, but they may alter emotions or change the taste, sound, feel, look, or smell of things. Involuntary leg jerks or arm jerks may spontaneously occur. Complex partial seizures: In complex partial seizures, there is a loss of consciousness, and you may be unresponsive to your environment or perform movements repetitively. Temporal lobe epilepsy is considered the most common partial seizure, and it accounts for approximately 60% of epileptics. The seizures originate in the temporal lobe of the brain, which is necessary for processing emotions and short-term memory. Epilepsy is not an easy condition to identify. Sometimes there can be a genetic association with epilepsy; however, other times seizures can be triggered from low oxygen at birth, head trauma, abnormal blood sugar levels, prenatal injury, infectious diseases like AIDS or meningitis, strokes or brain tumors, and developmental disorders like neurofibromatosis and autism. Seizures are also caused by a lack of sleep, heavy alcohol consumption, or drug use, like cocaine or ecstasy. Risk factors associated with epilepsy include dementia, brain infections, stroke, head injuries, and seizures during childhood. You will likely need to stay with the person until the seizure is over and they are fully awake. Afterwards, it is a good idea to help the person sit safely. After the person is able to communicate, inform them they had a seizure. Be sure to comfort the person, and make sure they are wearing a medical bracelet with any emergency information. It is also important that you remain calm, and keep others in the area calm as well. If the person is not at home, make sure they get home safely. The most common epilepsy treatment methods include anti-seizure or anti-epileptic medications. Some of the most common medications include carbamazepine, diazepam, lorazepam, eslicarbazepine acetate, felbamate, or ethosuximide. Some side effects may include decreased cognitive function, kidney or liver failure, hair loss, fatigue, blurry vision, double vision, stomach upset, or sleepiness. Anti-epileptic drugs may not work for everyone. Luckily, there are other options available, including music therapy. Recently, I reported on research from the Ohio State University Wexner Medical Center that was presented at the American Psychological Association’s 123rd Annual Convention in Toronto, Canada. Researchers found that music therapy can effectively increase the levels of brainwave activity. It is an important finding, since epileptic brains often react differently to music. Also, the auditory cortex of the temporal lobe is where music is processed. This is important for partial seizures, like temporal lobe epilepsy, that originate in the temporal lobe. In the study, data was collected from 21 epileptic patients at the Ohio State University Wexner Medical Center by using an electroencephalogram (EEG) to record and detect their electrical brain activity. The brainwave activity was tested while listening to 10 minutes of silence, then either Mozart’s “Sonata in D Major,” “Andante Movement II (K448),” or John Coltrane’s version of “My Favorite Things.” The participants then listened to another 10 minutes of silence, a second musical piece, and a third 10-minute period of silence. Other research has also linked music and epilepsy, including a 2014 systematic review and meta-analysis published in Current Neurology and Neuroscience Reports. Three different meta-analyses and 12 studies found that listening to Mozart’s music in particular seems to be significant for epilepsy. Data found that 84% of epileptics listening to Mozart showed a substantial reduction in epileptic fits. Also, the episodes reduced during and after listening to Mozart as well. Common herbs for epilepsy: Herbs most often used to treat epilepsy include lobelia, valerian, skullcap, tree of heaven, peony, mugwort, mistletoe, lily of the valley, burning bush, groundsel, and Hydrocotyle. Melatonin: Epilepsy is common in people who have lower melatonin levels; therefore, melatonin may help reduce seizures. A small, randomized pilot study published in the Journal of Child Neurology in 2012 found that 10 milligrams (mg) of melatonin is effective at reducing the frequency of seizures during the day in intractable epileptics. Other studies have found that melatonin has been able to reduce seizures in children. Yoga for epilepsy treatment: Evidence suggests that yoga is a beneficial epilepsy treatment. In a 2015 systematic review published in the Cochrane Database of Systematic Reviews, researchers found that yoga benefitted 50 epileptic patients from two different studies. Yoga is known to reduce stress and induce relaxation, which is important for people with epilepsy. Meditation can also help prevent or reduce seizures. Biofeedback: Biofeedback therapy is a technique that alters brain waves using electrical sensors. Certain relaxation exercises are used during the therapy, including mindfulness mediation, progressive muscle relaxation, deep breathing, and guided imagery. In a review published in 2010, researchers found that biofeedback therapy significantly reduced seizure incidences and severity in human epileptic patients. Vitamins: Some vitamins used to treat epilepsy include folic acid, vitamin E, vitamin D, and vitamin B6. Epilepsy treatment in homeopathy: Epilepsy treatment in homeopathy is also common. Some homeopathic remedies include cuprum metallicum, cuprum oxydatum nigrum, calcarea carbonica, bufo rana, o’enanthe crocata, kali bromatum, silicea, nux vomica, cicuta virosa, sulphur, hyoscyamus, belladonna, and causticum. “What Is Epilepsy?” Epilepsy Foundation web site; http://www.epilepsy.com/learn/epilepsy-101/what-epilepsy, last accessed August 13, 2015. 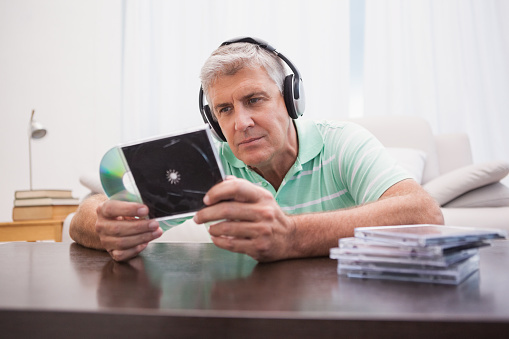 “Wound closure more effective when surgeons listen to their preferred music,” Medical News Today web site, August 2, 2015; http://www.medicalnewstoday.com/articles/297568.php. “Anxiety In Cancer Patients Reduced By Music,” Medical News Today web site, August 10, 2011; http://www.medicalnewstoday.com/articles/232523.php. “What is Music Therapy?” University of Windsor web site; http://www1.uwindsor.ca/music/what-is-music-therapy, last accessed August 13, 2015. Cherney, K., “Natural Treatments for Epilepsy,” Healthline web site, July 10, 2014; http://www.healthline.com/health/natural-treatments-epilepsy#Overview1. “What is epilepsy? What causes epilepsy?” Medical News Today web site, August 10, 2015; http://www.medicalnewstoday.com/articles/8947.php. “Can Music Help People With Epilepsy?” American Psychological Association web site, August 9, 2015; http://www.apa.org/news/press/releases/2015/08/music-epilepsy.aspx. Dastgheib, S.S., et al., “The effects of Mozart’s music on interictal activity in epileptic patients: systematic review and meta-analysis of the literature,” Current Neurology and Neuroscience Reports, 2014; 14(1): 420. “Homeopathy for EPILEPSY,” Hpathy web site, May 16, 2014; http://treatment.hpathy.com/homeo-medicine/homeopathy-epilepsy/. Sterman, M.B., et al., “Biofeedback in the treatment of epilepsy,” Cleveland Clinic Journal of Medicine, 2010; 77 Suppl 3: 60-67. “Temporal Lobe Epilepsy,” Epilepsy Foundation web site; http://www.epilepsy.com/learn/types-epilepsy-syndromes/temporal-lobe-epilepsy, last accessed August 13, 2015. “Common Epilepsy Causes and Seizure Triggers,” WebMD web site; http://www.webmd.com/epilepsy/guide/epilepsy-causes, last accessed August 13, 2015. “Epilepsy,” Mayo Clinic web site; http://www.mayoclinic.org/diseases-conditions/epilepsy/symptoms-causes/dxc-20117207, last accessed August 13, 2015. “Seizure First Aid,” Centers for Disease Control and Prevention web site; http://www.cdc.gov/epilepsy/basics/first-aid.htm, last accessed August 13, 2015. “Treatment for Epilepsy,” WebMD web site; http://www.webmd.com/epilepsy/guide/treating-epilepsy, last accessed August 13, 2015. “Epilepsy Drugs to Treat Seizures,” WebMD web site; http://www.webmd.com/epilepsy/medications-treat-seizures, last accessed August 13, 2015. “Epilepsy Treatment (cont. ),” MedicineNet web site; http://www.medicinenet.com/epilepsy_treatment/page2.htm, last accessed August 13, 2015. Goldberg-Stern, H., et al., “Effect of melatonin on seizure frequency in intractable epilepsy: a pilot study,” Journal of Child Neurology, 2012; 27(12): 1524-1528. Panebianco, M., et al., “Yoga for epilepsy,” Cochrane Database of Systematic Reviews, 2015; 5:CD001524.